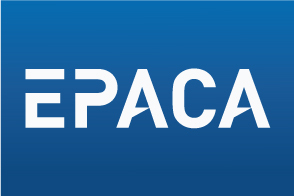 EPACA, the European Public Affairs Consultancies’ Association, today officially published their revised Code of Practice. The code has been amended to reflect more closely current public affairs practices. It extends the scope of the code to cover all activities undertaken by EPACA members in the context of their public affairs work. The revised Code was adopted at the 2013 EPACA Annual General Meeting and is the product of an extensive review by the EPACA management Committee, including independent legal advice. Regular review is required by the EPACA statutes and, since the adoption of the first Code, it has been reviewed on a number of occasions. The Code acknowledges that the work of public affairs professionals contributes to a healthy democratic process acting as a link between the world of business, civil society and European policy makers. By the Code, signatories commit to acting in an honest, responsible and courteous manner at all times and seek to apply the highest professional standards. “I am proud that EPACA members have endorsed such a wide ranging and stringent Code of Practice, which holds members to the highest possible standards of integrity, responsibility and competence. With the revised Code, which we vigorously enforce through a rigorous disciplinary procedure, EPACA members have re-committed themselves to exemplary conduct and both our clients and interlocutors can be confident that EPACA member agencies can be trusted to work for them”.